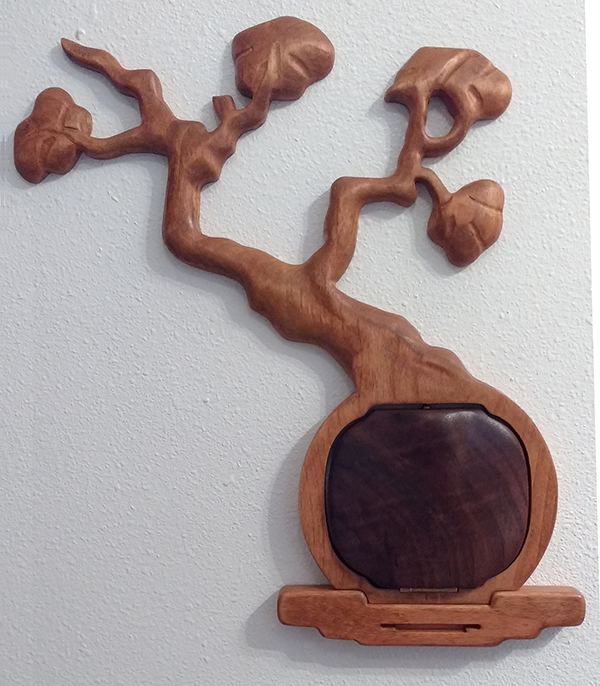 This piece is inpired by the designs of Greene and Greene. 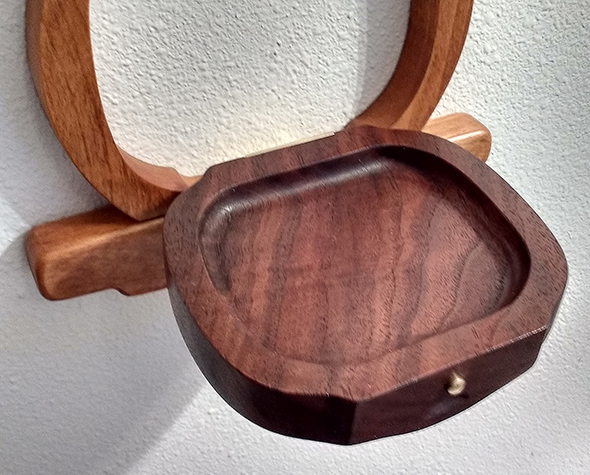 The tree motif is made of alder and the drop-down jewley tray is made of walnut with an oil finish. Scroll down to see a closeup of the tray and an animated gif showing how it works.